As Pakistan’s nuclear weapons modernisation advances, the country seeks a stronger domestic defence industrial base and an increase in defence exports. 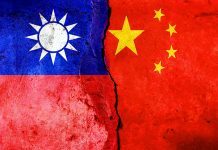 The People’s Republic of China (PRC), meanwhile, looms ever larger as a strategic partner and materiel supplier. 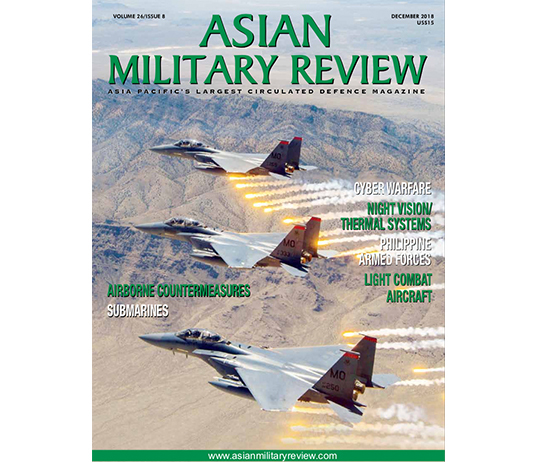 A review of Pakistan’s progress in the military field must concentrate on nuclear weapons doctrine and equipment, the country’s defence industry, naval modernisation and the country’s widening array of security and defence partners, while not forgetting the continued demands of internal security. Islamabad keeps playing a difficult, but rewarding, balancing act between Beijing and Washington DC, and this is reflected in current and future procurement and upgrade programs. Defence policy seeks to respond to the country’s three traditional strategic imperatives: keeping together a diverse population, confronting India and ensuring Afghanistan remains politically divided. Meanwhile, the country’s nuclear deterrent remains cornerstone of Islamabad’s defence planning, making up for numerical inferiority vis-à-vis India and providing cover for the use of clandestine, sub-conventional force. Concerning defence industry cooperation with the PRC, Filippo Boni, a researcher at the Institute of Asia and Pacific Studies, at the United Kingdom’s University of Nottingham, believes that this cooperation: “is well on track and has always been the backbone of the Sino-Pakistani entente cordiale.’ Mr. Boni stresses the: “three key components in defence industry cooperation,” involving the three branches of the Pakistan armed forces, Beijing’s support “for the establishment of the Heavy Industries Taxila (a state-owned Pakistan defence company), initially as a rebuild factory for the Norinco T-59 Main Battle Tanks (MBTs) supplied by the PRC, and which progressively started manufacturing the local Al-Khalid MBT,” the “joint production of the Chengdu/Pakistan Aeronautical Complex JF-17 fighter,” and the July 2015 conventional hunter-killer submarine (SSK) deal with the PRC, which “represents a big step forward in defence cooperation and illustrates the interests of both Pakistan and the PRC to expand their presence in the Indian Ocean.” He also notes that: “Pakistan has now realised that the development of the China-Pakistan Economic Corridor (CPEC) is a once in a lifetime opportunity.” The CPEC is a transportation initiative which will link Gwadar in southwest Pakistan to the PRC region of Xinjiang in the northwest of the country, with the road and rail links incumbent in this initiative expected to be completed by 2030. Despite seeking to boost domestic production and exports of materiel, Pakistan has been spending growing sums in defence imports. In 2015 it stood tenth in the world ranking of weapons imports, spending $735 million, according to the Stockholm International Peace Research Institute. 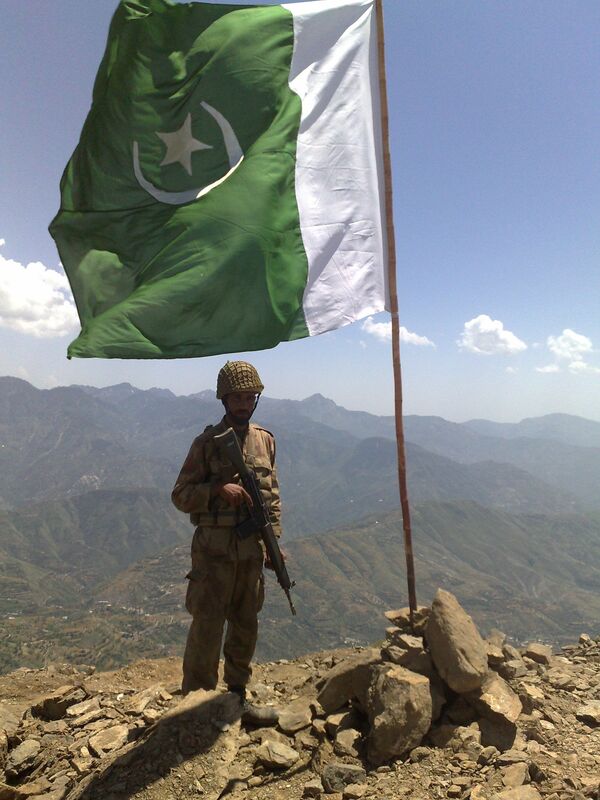 Pakistan’s army remains the country’s senior service. 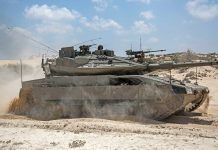 Comprised of over 600,000 personnel, plus 800,000 reserve and paramilitary personnel, it prizes its armoured manoeuvre forces as its backbone. However, the army is paying growing attention to the need to protect these forces from air attack. A clear example is the induction, in May 2015, of the China National Precision Machinery Import and Export Corporation HQ-7B/FM-90 short-range Surface-to-Air Missile system. The missiles used by the system employ command to line-of-sight and optronics guidance. Pakistan has also made an effort to produce a MANPADS (Man-Portable Air Defence System) domestically, the most advanced being the Kahuta Research Laboratories’ ANZA Mk. III. 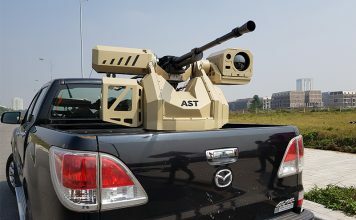 This weapon is an improved variant of the PRC’s Shenyang Hangtian Xinle QW-2, which is in turn believed to be based upon the Raytheon FIM-92 Stinger MANPADS family. The QW-2 has a range of 3.2 nautical miles/nm (six kilometres) and is equipped with a dual-band infrared homing seeker. In January 2015 fears of MANPAD proliferation to insurgent organisations prompted the European Aviation Safety Agency (EASA) to warn aircraft to exercise “extreme caution” when overflying Pakistan, following a request by France’s Direction Générale de l’Aviation Civile (Civil Aviation Directorate) which has banned French aircraft from flying below 24000ft (7315m) over Pakistan. With a ten percent share of the 2015 defence budget of $6.6 billion, Pakistan’s navy has more than 22000 active, plus 5000 reserve, personnel. 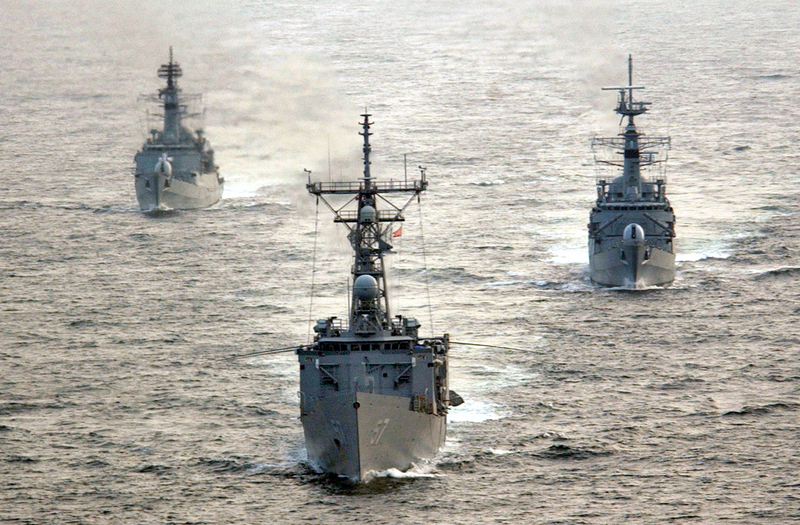 While Pakistan’s economy is very much dependent on the sea, the port city of Karachi contributing 25 percent of the country’s gross domestic product, the navy remains the junior service. With many of its ships nearing retirement (including five French-made ‘Khalid’ class and two ‘Hashmat’ class SSKs, the navy is seeking to acquire new surface and subsurface combatants, while boosting domestic shipbuilding in cooperation with Beijing. A third goal is to develop a sea-based nuclear deterrent, which may also help the navy raise its domestic political profile and share of the defence budget. Two significant acquisitions, both involving state-owned Karachi Shipyard and Engineering Works (KSEW) are an additional four ‘Zulfiqar’ class frigates and six ‘Houbei’ class missile catamarans. KSEW is expanding its facilities in Karachi, building a new foundry, manufacturing areas, and two dry docks of capable of accommodating ships displacing 26000 and 18000 tonnes. While new ships are seen as essential in terms of maritime security, the fight against piracy and as areas of cooperation with other countries in the region, it is Pakistan’s plans to acquire new submarines that have met with the greatest concern in New Delhi. In March 2015 Islamabad announced plans to procure eight new Chinese submarines (the navy would ideally like twelve), and in October that year confirmed that four would be purchased from the PRC, and four built at KSEW. This deal also involves building a training centre in Karachi, and probably access to China’s Beidou-II (BDS-2) satellite navigation network. An additional advantage for Beijing would be securing a maintenance capability in the Indian Ocean from its own naval vessels, given the similar designs of these submarines with existing PLAN (People’s Liberation Army Navy) boats. Concerning the characteristics of these eight submarines, they are likely to be based on the ‘Type 39B/Yuan’ class SSK 2,300 ton, air independent propulsion (AIP) equipped, Type 39B Yuan SSK (export version known as S-20), able to fire Surface-to-Surface/Anti-Ship cruise missiles (SSM/AShM) and equipped with 533mm torpedo tubes, and also capable of deploying mines and special forces. A major question is whether Pakistan is only seeking a sea denial and counter-blockade capability, or has set its sights beyond the conventional domain, in order to achieve a nuclear second strike capability; that is the capability to deliver a retaliatory strike after absorbing an initial first strike. The latter is supported by existing work on the National Defence Complex Babur land-attack terrain-following and satellite-guided SSM, aimed at making it capable of being launched from the navy’s old ‘Khalid’ class SSKs. The Pakistani Air Force (PAF) has seven airbases and some 800 aircraft, supported by 65000 personnel. Its main frontline fighters are its 76 General Dynamics/Lockheed Martin F-16A/B Block-15 and F-16C/D Block-50/52 aircraft. While these aircraft continue to be modernised, new airframes are being purchased. Washington DC announced the sale of eight F-16C/Ds in October 2015, part of a $700 million package also involving training, maintenance and logistical support, but the ultimate details, including how much of the price tag will be covered by the US Foreign Military Financing fund, is subject to congressional approval, with some senators and congressmen openly hostile to the sale), fighter procurement is a clear indicator of the gradual shift towards the PRC, although Islamabad is seeking to buy a further ten F-16 family aircraft, which could perhaps include the latest F-16V version. Such controversies may help Turkey expand its foothold in this market, with the announcement in May 2016 that Turkish Aerospace Industries (TAI) was negotiating the upgrade of 74 Pakistani Air Force (PAF) F-16A/B/C/D fighters, including 14 of the aircraft Pakistan has purchased from Jordan. The cost of the programme could be $75 million and negotiations, involving also securing US permission for the upgrade, could take two years. Islamabad would prefer work to take place domestically, but Turkey is seen as a second-best option, TAI already having won a similar contract in 2008. 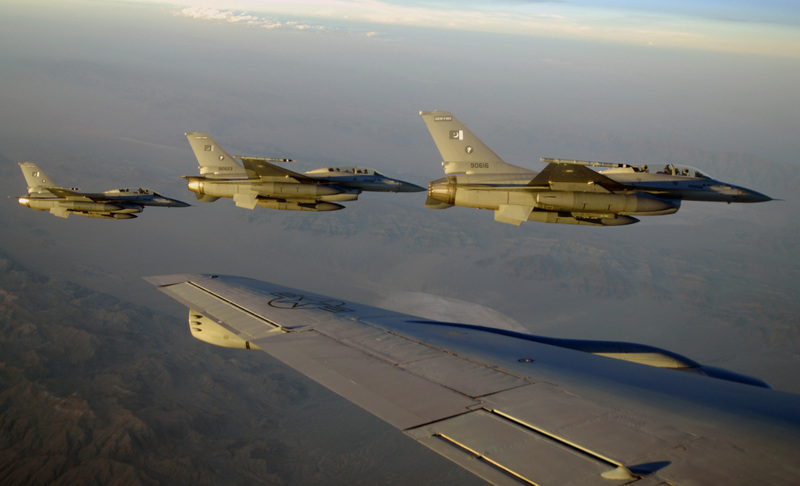 Continued tensions with the US Congress concerning F-16 sales and support stand in contrast with Islamabad’s co-production with Beijing of the JF-17 fighter, with 60 in service and plans to purchase up to 250. Pakistan seeks to maintain in the coming years a combat force of between 350 and 400 aircraft, a mixture of F-16A/B/C/D and JF-17 variants. 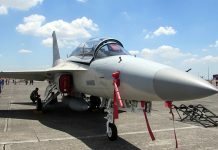 The maiden test flights of the twin-seat JF-17B are scheduled for late 2016 or early 2017, and the PAF is choosing the refuelling probe configuration already displayed in public in China. 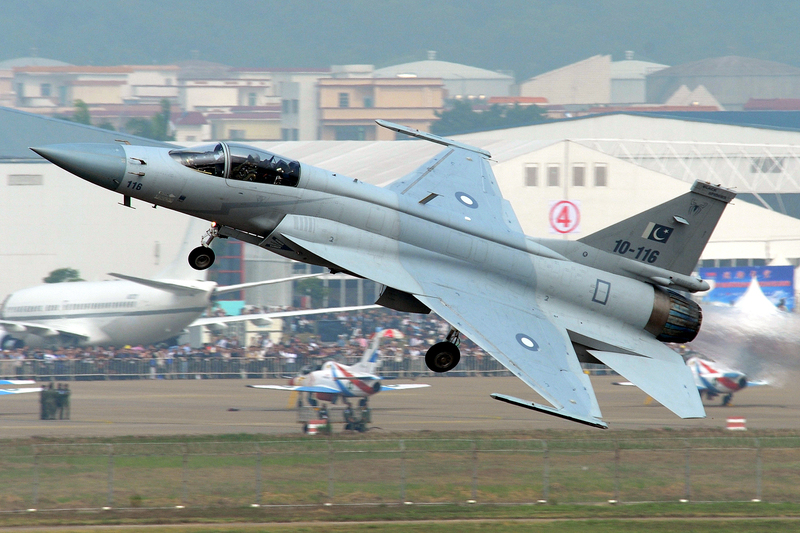 In November 2015 the Pakistan Aeronautical Complex announced that Russia’s RD-93 would remain the JF-17’s engine. In April 2016, Pakistani officials attending the Defence Services Asia (DSA) exhibition in Kuala Lumpur, Malaysia, said that Islamabad may choose instead Russia’s Klimov RD-33MK or China’s Guizhou Aviation Industry Corporation (GAIC) WS-13 turbofan to power the JF-17. The Klimov RD-33MK is the latest iteration of the RD-33 turbofan, with higher thrust, Full Authority Digital Engine Control (FADEC), and a lifespan of 4000 hours. This engine powers the MiG-29M/M2 and the MiG-35 fighters. Not that much is known about the Guizhou WS-13, but it also uses FADEC and seems to have already been test-flown on the JF-17. Whatever the ultimate decision on the JF-17’s engine, Moscow and Islamabad seem to be inching closer on defence, with Russia lifting her arms embargo on June 2015, and the two countries signing a landmark defence deal comprising the sale of Mil Mi-35E attack helicopters in August 2015. While still discussing the possible purchase of Sukhoi Su-35 family fighter jets, Russia and Pakistan held their maiden joint exercise between September and October 2016, labelled FRIENDSHIP 2016 and featuring some 70 Russian troops from the Russian Army’s 34th Brigade. While small in scale, they are a indicative of the complex, shifting web of strategic relations in the Asia-Pacific. The country’s nuclear deterrent remains central to its defence posture, with the armed forces not ready to see it downgraded to a minimal deterrence position. On the contrary, Pakistan seems keen to gain a naval dimension for its deterrent, while continuing to modernise and expand its stockpile of tactical nuclear weapons, in a move which is prompting concern among proponents of nuclear disarmament. 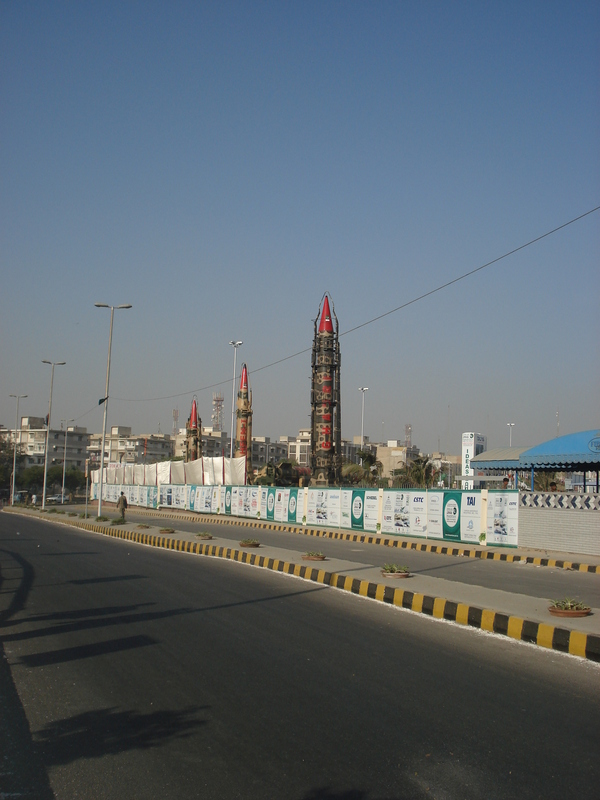 With an arsenal estimated at between 100 and 120 nuclear warheads, significant PRC technical assistance, strong popular support and a refusal to declare a no first strike policy, Pakistan’s defence policy relies heavily on nuclear weapons. Islamabad is moving beyond strategic deterrence, working on a wide range of tactical nuclear weapons, while planning a sea-based second-strike capability. One of these tactical systems is the National Development Complex Hatf-9/Nasr SSM, with an estimated range of 32nm (60km). Fired from a multi-tube launcher, the Nasr has a solid fuel engine and can perform manoeuvres to frustrate surface-to-air missiles, and is a derivative of the PRC’s Sichuan Aerospace Industry Corporation’s Weishi-2 (WS-2) family SSM, which was developed with exports in mind. Intended to check advancing Indian armoured forces, its detractors fear that its use could lead to escalation, while its proponents consider limited escalation from conventional to tactical nuclear weapons as enabling de-escalation, echoing Moscow’s nuclear doctrine. The Pakistani military see the Hatf-9/Nasr as an antidote to India’s ‘Cold Start’ doctrine, based on short, sharp blitzkrieg by independent battle groups able to quickly mobilise, and believe that tactical nuclear missiles will make it much more difficult for New Delhi to order conventional attacks. On the other hand, some observers see a move away from a counter-value strategy (with cities as targets) to a counter-force strategy (military deployments as targets) as detrimental to stability, possibly increasing the risk of nuclear combat. 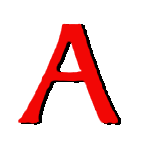 Actually, the Hatf-9/Nasr’s deployment led Pakistan’s foreign secretary Aizaz Chaudhury to announce, in October 2015, a move from “minimum credible deterrence” to “full spectrum deterrence,” meaning Islamabad was no longer formally committed to using nuclear weapons to only respond in kind or if facing an existential threat. The nuclear-capable F-16A/B remains an important pillar of Pakistan’s deterrent, but Islamabad is also working on strategic and cruise missiles. The National Defence Complex has developed the Babur/Hatf-7, a mobile SSM with a range of 404.9nm (750km) and a circular error probable of 20-50 metres (65.6ft to 164ft). It is already operational and can carry a nuclear or conventional payload of 990 pounds/lb to 1100lb (450 kilograms/kg to 500kg). Pakistan is also working on cruise missiles, namely on the Air Weapons Complex air-launched Hatf-8/Ra’ad with a range of 188.9nm (350km), successfully tested for a fifth time in January 2016. With stealth capabilities and powered by a subsonic turbofan engine, it can carry both conventional and nuclear warheads, the latter having an explosive yield of between 10 kilotons to 35 kilotons.. Although Islamabad claims it has been developed domestically, it resembles South African projects such as the Denel MUPSOW air-to-surface missile, and observers note that in the past the two countries have cooperated in weapons development. It is not clear yet whether the Hatf-8/Ra’ad is fully operational, and whether it can be launched from an F-16A/B/C/D or only from a Dassault Mirage-III family fighters. Pakistan may also be working to enable the JF-17 to become its future launching platform. Pakistan’s armed forces are responsible not only for national defence, but are also a major nation-building tool and play a significant role in the country’s economy. While the army remains the senior service, the navy is seeking to acquire new surface combatants and, above all, eight SSKs. This illustrates two important trends: greater indigenisation, and growing defence links with Beijing, to the detriment of Washington. In the nuclear arena, Pakistan is working to develop a wide range of tactical nuclear weapons, seen as necessary to counter Indian conventional superiority, while also eyeing a sea-based second-strike capability.